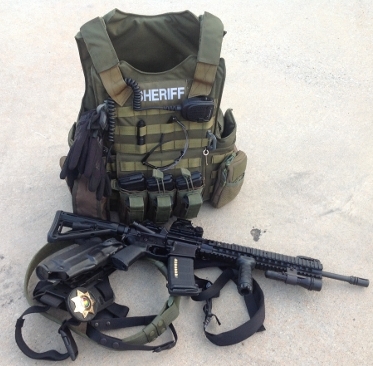 Our BALCS cut body armor carriers are very popular with Law Enforcement Tactical Officers. We received a few pictures and an email from a very happy customer about their BCS BALCS OD green body armor cumber carrier. This is what the happy customer email said about the carrier. Got my carrier in. Does exactly what I need it to. Actually wore it on a search warrant this morning!. Thank you for the great construction and timely responses to my emails. I know, I have a lot of condor stuff on there (don’t make fun I’m on a budget), the carrier is the best piece of kit that I’ve had in a long time.The balcs panels fit perfectly. My level 4 plates are positioned high just like I like them. They don’t swim around, either. MOLLE spacing was great. Stitching looks great. I will not hesitate to recommend you guys to my team mates, buddies, etc…. Thanks from a very happy customer. Thank you happy customer for taking the time to send us a few pics and providing feedback. We work hard to provide multiple color options and some customization for the operators needs. 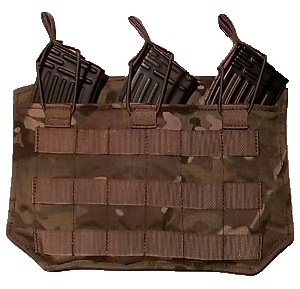 If you are looking for a body armor carrier that will support BALCS/SPEAR cut body armor we offer three different versions and make them available in Multicam, A-TACS AU, A-TACS FG, Kryptek Highlander, Kryptek Mandrake, Kryptek Typhon, Coyote, Khaki, Ranger Green, Woodland, ABU, ACU, and Black. 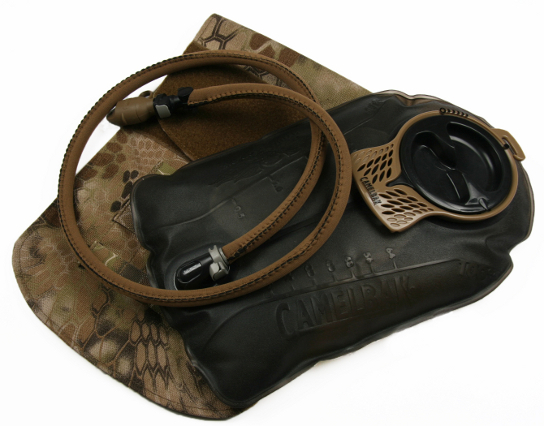 Our new hydration carrier short supports the new Camelbak Mil-spec 100oz/3L Antidote Short reservoir. This reservoir is shorter, wider and lighter than the standard reservoir long. The baffled design reduces reservoir stack and maximizes stability. The new reservoir allowed us to design a simple and low profile carrier that fits better on plate carriers and body armor vest. The short reservoir saves 20% in weight and lowers profile by 30% over previous systems. The Low-profile, baffled design reduces reservoir stack and maximizes stability. Keeps the reservoir low profile and tight. The empty reservoir dimensions measure 14x9x1 inches. A brand new reservoir requires a brand new hydration carrier short to fit its unique shape. We made the new carrier wider ,short and just thick enough to support the reservoir when full. 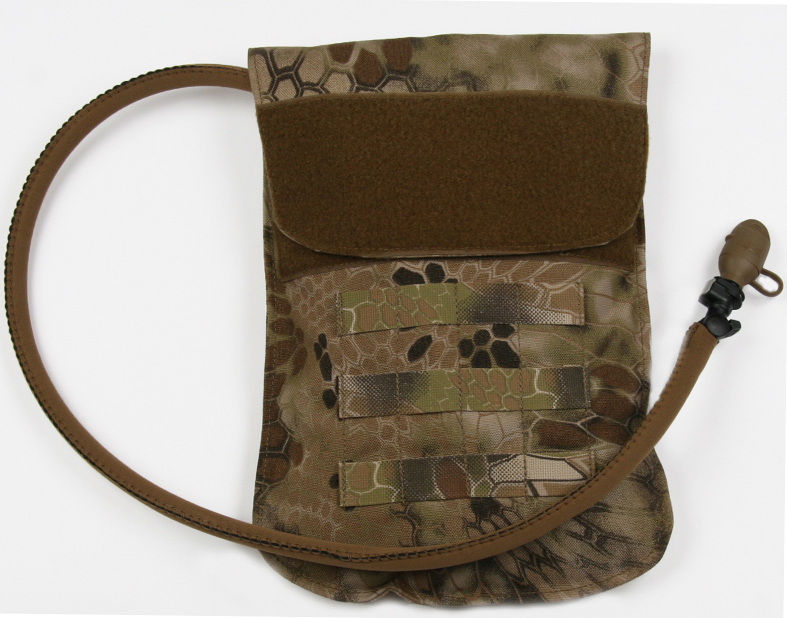 This new design fits better on plate carriers because you don’t have the bottom overhang. 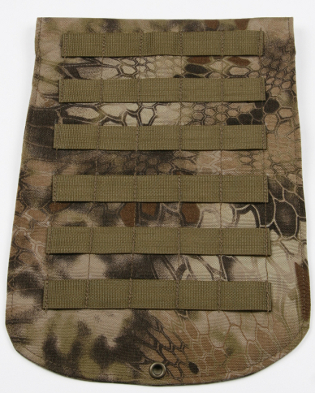 The back of the hydration carrier short is covered with plenty of molle attachment webbing. 6 rows x 6 channels provides a good amount of molle/pals webbing to securely attach it to a load bearing molle platform.A drain grommet has been inserted in the bottom of the carrier at the lowest possible place to help with drainage. The front of the carrier flap has a plenty of loop Velcro for ID, placards or morale patches. While the flap is held closed by 1 ½ inch hook Velcro. On the inside a piece of webbing extends across the carrier with channels sewn into it . This allows for an adjustable hanger tab to suspend the reservoir from. A video review of the AK47 3 mag shingle. Beez Combat Systems has designed a AK47 3 mag shingle for reliably securing AK47 magazines to any Molle/Pals platform. Designed to maintaining instant access for rapid reloading, the shingle is also designed for retention. Over sized pull-tabs and elastic bungee cord are adjustable to ensure the operators preferred tension, and securely hold the magazines in place even during extreme conditions. Each pouch securely hold one AK47 magazine. The front of the shingle has Molle webbing for additional attachments. The back of the shingle has four rows of Molle webbing for attachment with a variety of clips. Very secure, and VERY light weight. 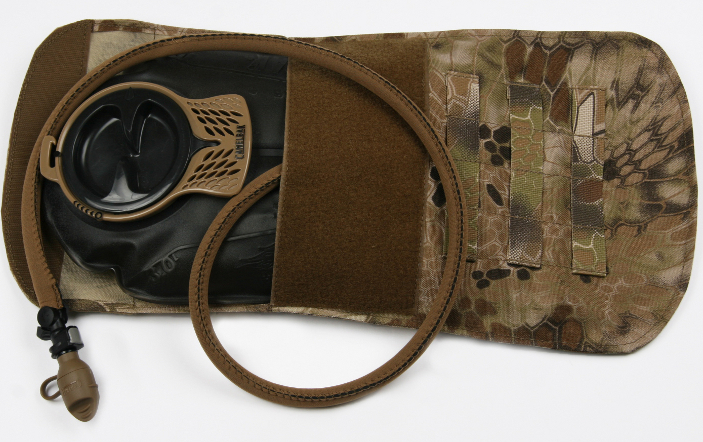 Made of 1000D Cordura to support the rugged AK mag, and fully US Berry Compliant. The AK47 3 mag shingle is available in: Multicam, A-TACS AU, A-TACS FG, Kryptek Highlander, Kryptek Mandrake, Kryptek Typhon, Coyote, Khaki, Ranger Green, Woodland, ABU, ACU, and Black. Spartan Armor Systems is a new division under TheTargetMan. The new division and website will specialize in armor systems focused around the quality AR500 Omega Steel body armor. The new divisions will allow for better branding and market growth. 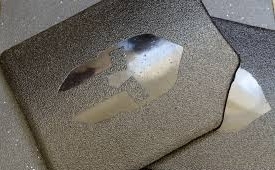 Spartan Armor System has become the leader in affordable steel body armor plates. These guys have taken steel body armor to the next level with their quality manufacturing and advanced coating process to minimize spall with proven fragmentation mitigation. If you are in the market for AR500 steel body armor you need not look any further. Grand Opening – Spartan Armor Systems is offering a great buy for this event. 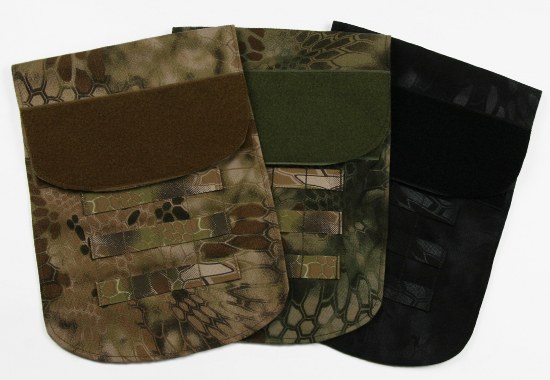 These plates and plate carriers won’t last long. Limited to just 20 sets!. Watch for the special offer to be made in the next few days. The Grand Opening special is for two front and back coated formed Spartan Armor plates and one Beez Combat Systems AR500 Plate Carrier Molle. The plate carrier molle includes the two shoulder pads and four PC pads. 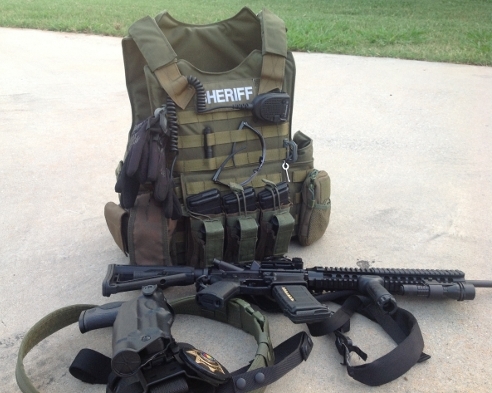 Our AR500 plate carrier product line was designed to support these plates and is a state of the art plate carrier. Built specifically to fit the plates like a glove and hold the steel plate weight. This is worth over $346 of armor and plate carrier for just $269.99. That’s right! and shipping is free.